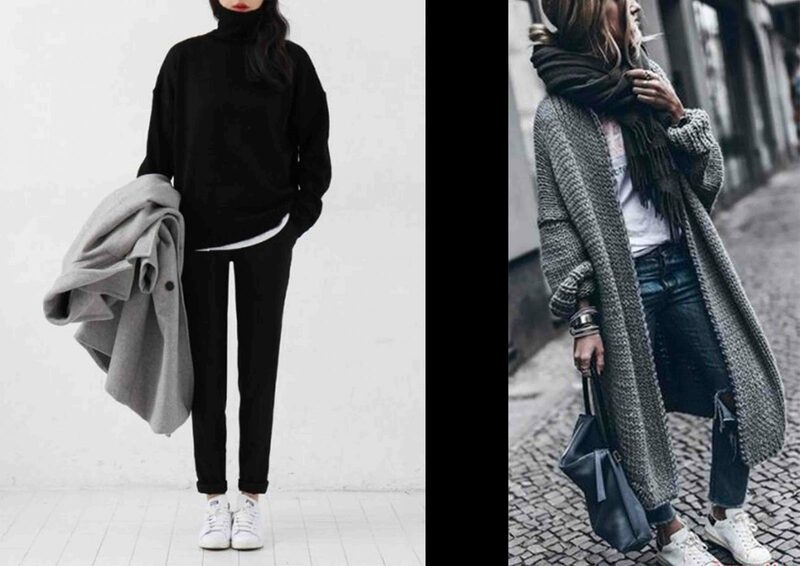 Weather is getting colder and it is time to change the clothes in our wardrobes with thicker ones. I like autumn very much because it is not very hot or very cold. That’s why we can go outside with different kind of clothings like: cardigans, jean jackets, trench coats, rain coats… Autumn has given this opportunity to us! Before it is getting colder, I want to wear these things as much as possible. Because when the winter comes, all I want to wear will be thick coats. I always feel cold! Therefore, I want to share some fall outfits with you which have become my favorite this season. When we talk about fall outfits I always think long elegant cardigans. They are can be my joker items for autumn. I think that they always look stylish, and it is easy to combine them either sporty or chic way. You just need to be careful about color options and the length of the cardigan. First of all, if you are not a tall woman, please prefer to wear high heels shoes with long cardigans so it can make you look taller. Than, you can choose your cardigan’s color according to your style. I like white, light pink, camel or cream cardigans for fall outfits. However, my favorite one is always black! I absolutely recommend you to buy a black long cardigan because you can do every kind of fall outfit which makes you look always stylish! It is something like black dress, that all of us should have in our closets. If you combine your black cardigan with something white, I really adore this look! It is the coolest thing I’ve ever seen. 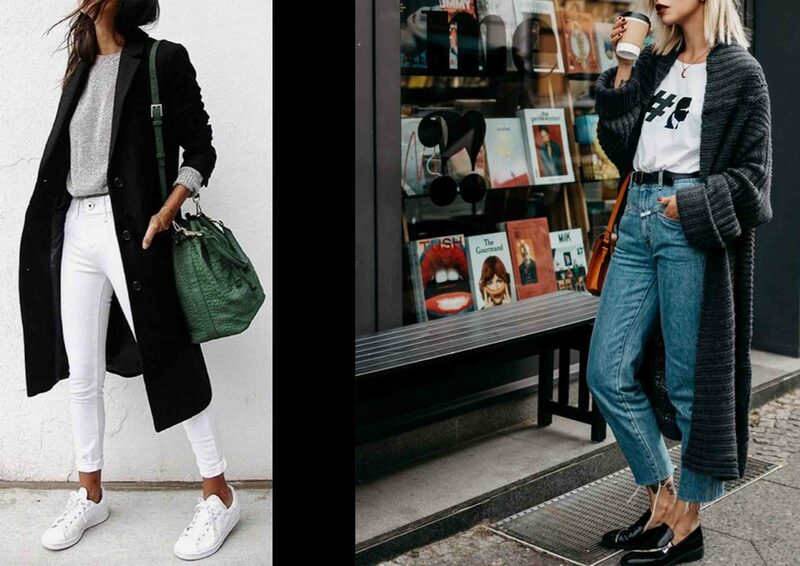 This is a trend which never leaves us, so be relax and try to find something white and black in your wardrobe! These days my favorite colors has changed. My new favorites are black, white and gray! I started to buy everything in these colors. That’s why I chose these fall outfits made with my favorite colors and long cardigans. My second favorite cardigan color is gray. I know I’m still very close to black but I love it! As I said before my favorite colors have changed and gray looks so nice with white and black clothing items! You can see from the picture it looks so stylish and cool without any effort. This kind of combines save our lifes because when I can’t decide what to wear or if I’m not sure what kind of place am I going to go, I prefer to wear black and white. Because it suits every type of place and date very well. If you are get bored to see everything in black, white or gray you can make it more energetic with a bag which has bright and different color like: yellow, orange, burgundy… I sometimes combine my black fall outfit with this kind of bags and it look very well. It is pretty available to wear this long cardigans at night or in the morning. You can go to school, go to work or even a date with your boyfriend at night. All you need to do is change the shoes and bags. Make a small difference in your hair style and wear a bit darker lipstick. Now you’re ready for the night! That’s so easy to make it look chic from sporty way. I barely 5’3, and I own 4 or 5 long cardigans, and I always get compliments on them. I never wear heels, just flat boots . For shorter women just try to find ones that hit at the knee or just above so you don’t look like you’re swimming in it. I’ve had the best luck at T.J Maxx !